pretty nothing specific to add to the subject. When watching streams on twitch, RAM is getting filled over time until opera crashes at some point. 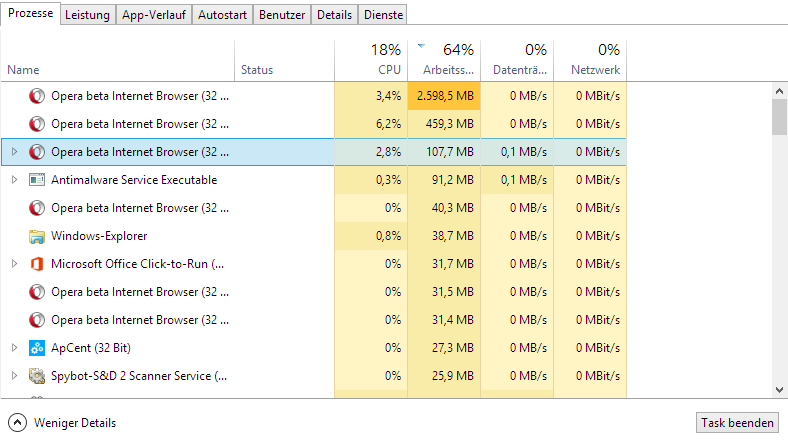 Operas Taskmanager shows me, that its the "GPU-Process", that is accumulating the memory (can get even higher than in the attached picture.. 3 and more GB of RAM). Ideas for the cause or even to fix it? Have the same problem, dont use opera VPN. Version 43.0.2442.1144 Stable.